The applications are invited by Bharat Sanchar Nigam Limited (BSNL) for the post of 198 Junior Telecom Officer (JTO). All the willing candidates must have a GATE Registration ID (13 digits) for applying for DR-JTO (Civil) & DRJTO(Electrical) online Registration. The candidates can apply online till March 13, 2019. The detailed information on BSNL Recruitment Qualification/eligibility conditions, how to apply and other rules are given below. 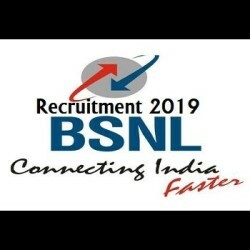 How to apply: Eligible candidates may apply online through the website bsnl.co.in from 11.02.2019 to 12.03.2019.